Antartidee is an Italian design company dedicated to all those who love surrealism and afford Salvador Dali – heroic status. Founded in 1986, in Reggio Emilia by Roberto Ferioli and Mauro Montermini, each piece is decorated by hand in Italy with all collections designed and created by the two founders. The Hours Wall Clock plays with the concept of stretching time, something that the chronically late may appreciate. With one beautifully manicured hand at the top and the other at the bottom, this is a fun piece that will always be a talking point. Antartidee – because we all need a touch of whimsy in our lives. Crafted from hand painted resin. 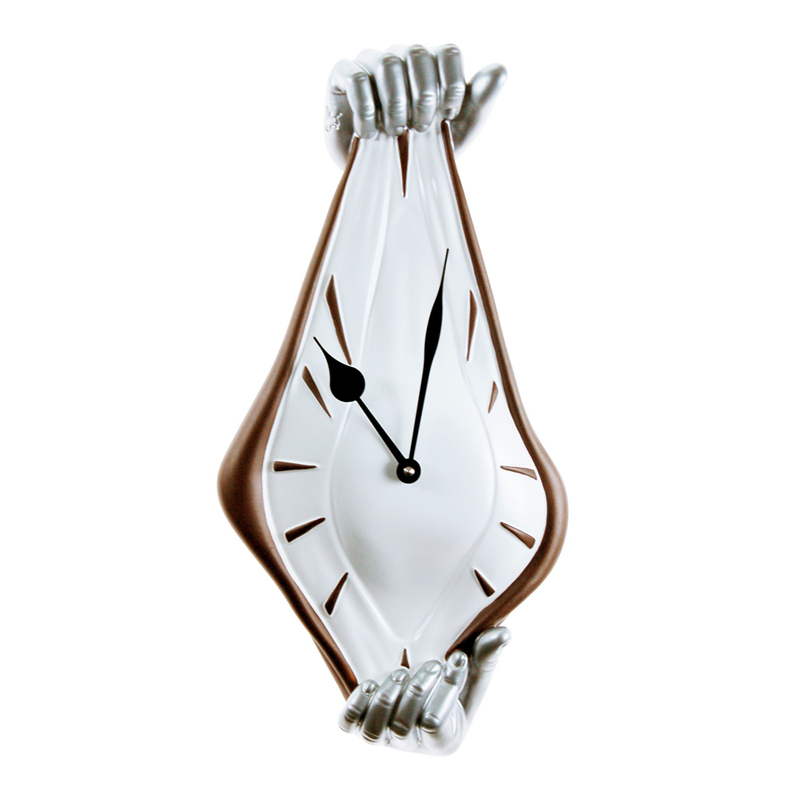 Depicts two hands at either end of the clock, appearing to be stretching time. Has German UTS quartz clock mechanism to keep perfect time. Dimensions: 14cm (l) x 48cm (h) x 9cm (w).